Milwaukee’s pick-your-poison plan, one it has used all season to annihilate opposing defenses, was presented to Orlando on Saturday at the sparkling, new Fiserv Forum. Just like the others before them, the Magic had very few answers in a 113-91 loss that grew lopsided in the second half and was heavy on frustration and exasperated expressions. ``Every one of those cutting baskets (for Milwaukee), it’s a mistake,’’ Magic coach Steve Clifford fumed. ``I think they had 18 and that’s without watching the tape. Those are crushing. Following an early-morning arrival back in Central Florida from Milwaukee, the Magic will have Sunday off. 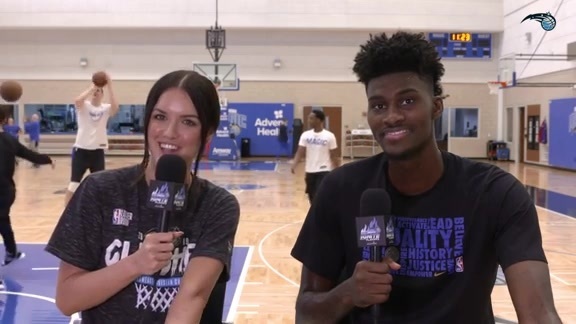 Orlando will practice on Monday in preparation for Tuesday’s home game against the Sacramento Kings. Milwaukee led by 14 after a dominant first half and punished the Magic even more in a lopsided third period. The Bucks pushed their advantage to as much as 26 points just after halftime by holding Orlando to five-of-20 shooting in the third period. Milwaukee came into Saturday’s game at 5-0 for the first time since 1971. Also, the Bucks were one of four teams in the NBA still undefeated prior to Saturday’s slate of games, joining Toronto, Detroit and New Orleans. The Bucks have been one of the NBA’s hottest teams early in the season by riding the do-everything play of Antetokounmpo and some dead-shooting from afar. Through five games, Milwaukee ranked first in the NBA in 3-pointers made a game (16) and 3-pointers attempted a game (41.8) and 10thin accuracy from 3-point range (38.3 percent). The offseason addition of center Brook Lopez meant that the Bucks can clear the middle of the floor and surround Antetokounmpo with four 3-point shooters. Orlando struggled offensively at the start of the game and had little answers defensively throughout a first half where Milwaukee took a 65-51 lead to the locker room. The Bucks gashed the Magic inside and out, shooting 59.5 percent from the floor with five 3-pointers, 16 free throws and 30 points in the paint. On this night, it was often difficult to tell what bedeviled the Magic more – a defense that was gashed by most of Milwaukee’s players or a sputtering offense that could never string together a series of makes? 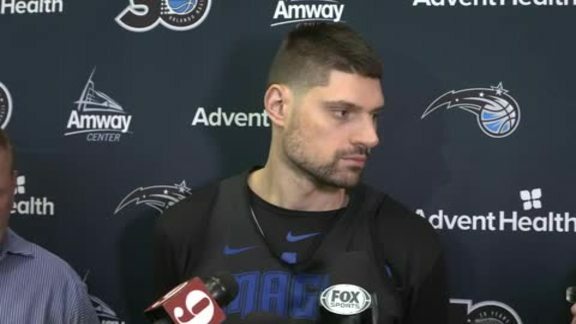 ``We didn’t do a good job executing our game plan, but it wasn’t all just the game plan; it was simple stuff, like (Clifford) said with the back cuts and the blow-bys,’’ Vucevic said. ``(The Bucks) do a good job of setting things up, but we just weren’t focused enough on that (defensive) end to take care of those things. Against a good team like that, who really executes well, you have to be really focused and we weren’t tonight.